Eric Deggans, television critic for National Public Radio, will deliver the seventh Peabody-Smithgall Lecture. 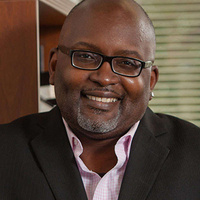 Deggans, one of the most prominent media critics working today, is regularly featured on "Morning Edition" and "All Things Considered" broadcasts. In addition to his work with NPR, Deggans also contributes to various national media outlets. Deggans is the first African-American to chair the Peabody Board of Jurors, which he has served on since 2013. The Peabody-Smithgall Lecture is named in honor of Lessie Bailey Smithgall and her late husband, Charles Smithgall. In the late 1930s, Smithgall introduced Lambdin Kay, general manager of Atlanta’s WSB Radio, and John Drewry, dean of the University of Georgia’s School of Journalism. Their efforts led to the establishment of the George Foster Peabody Awards at UGA in 1940.